Britain’s ‘Brexit’ minister headed to Brussels and Strasbourg Monday (21 November), in his first official meetings on the continent since taking up the portfolio after the UK’s June referendum. 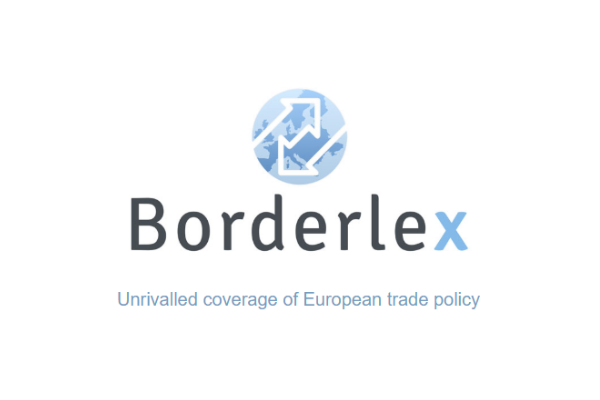 He met with the EU’s chief Brexit negotiator in Brussels, Michel Barnier on Monday, before heading to Strasbourg on Tuesday for talks with Guy Verhofstadt, the European Parliament’s lead Brexit negotiator. His trip came as Theresa May, the prime minister, told an audience of business leaders she was aware of the danger of a “cliff edge” facing UK businesses at the end of the two-year period of negotiations on leaving the EU, at which point World Trade Organisations tariffs would theoretically kick in if no transitional deal has been done. May told the Confederation of British Industry (CBI) conference that her government would invest an extra £2 billion a year (2.3 billion euros) in science research and development by 2020. She also committed to the plans of her predecessor, David Cameron to reduce the rate of corporation tax to 17% – the lowest level in the G20. In the immediate aftermath of Brexit, then-chancellor George Osborne promised to cut corporation tax to 15%, prompting fears the UK would become an offshore low-tax haven and challenger to the continent. 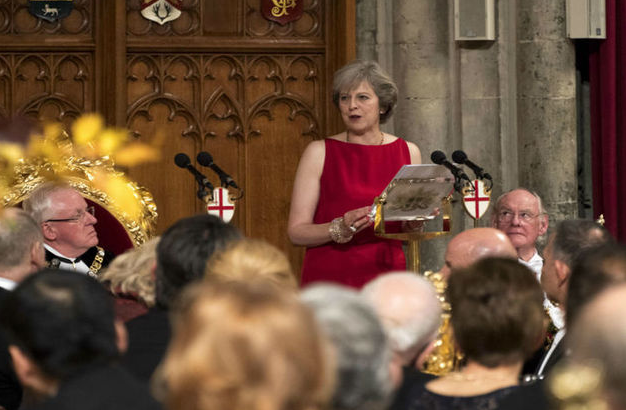 May also fleshed out earlier details of her more interventionist industrial policy, promising a green paper on industrial strategy by the end of the year and plans to “reform corporate governance” in the near future. However she stressed it would not lead to “creating German-style binary boards”. In a possibly synchronised move, Facebook announced Monday it would open a new London headquarters next year, employing an additional 500 staff, taking its UK workforce to 1,500. On Wednesday, the Chancellor of the Exchequor, Phillip Hammond, will unveil his first autumn statement, which is expected to brace consumers and businesses for difficult times ahead as the Brexit negotiations hove into sight. The government has set a self-imposed deadline of March 2017 for triggering Article 50, starting the two-year process, although an ongoing appeal at the Supreme Court by the government, against allowing parliament a say on triggering Article 50, could possibly delay that. 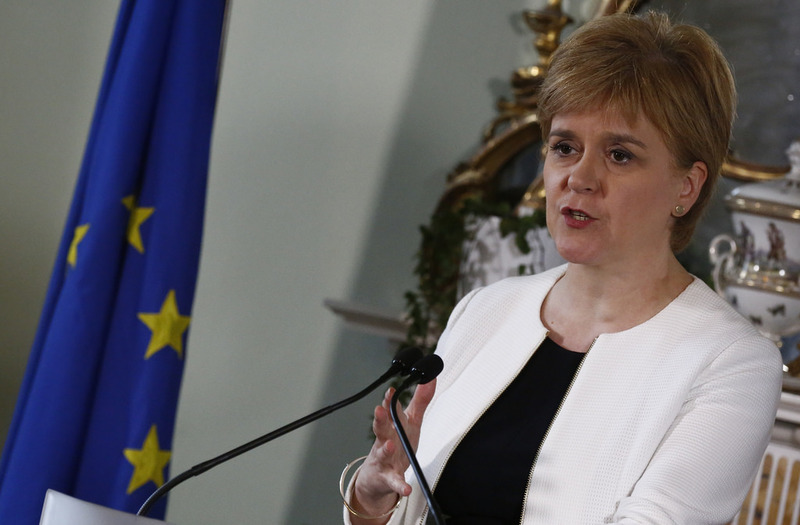 The Scottish and Welsh governments will be allowed to intervene in the upcoming Supreme Court case to decide how Britain will begin negotiations to leave the European Union, the court said today (18 November). May acknowledged that Brexit “creates uncertainty for business” and that they “need some clarity”. The prime minister has so far refused to outline what she will demand from EU leaders, but promised to update business on plans that did not risk “prejudicing the negotiation to come”. May said she wanted an “early agreement” on the status of British nationals in Europe and EU nationals in Britain. The speech came after weekend speculation in the UK press that Tony Blair was planning some sort of re-entry into mainstream British politics. The former PM, who stepped down in favour of Gordon Brown in 2007, has spent the past decade as Middle East Peace Envoy, and as mastermind of a inter-faith institute and giving global counsel to developing countries, some of them unsavoury. Blair was now reported to be planning a new London HQ for his some 130 staff, having held private meetings with former Conservative chancellor George Osborne and backroom members of President-Elect Donald Trump’s transition staff. Having called for a second referendum on the terms of Brexit, he is also – it was reported – using friendly Labour backbenchers as soundingboards about some form of return. The British government has no Brexit strategy, and may not have one before triggering Article 50 in March 2017, according to a leaked memo published by The Times today (15 November). The overlapping responsibilities between Davis, as Secretary of State for Exiting the EU, Liam Fox as Secretary of State for International Trade, and Boris Johnson, as Foreign Minister has seen tensions in Whitehall, against a backdrop of rushed planning for a Brexit for which no contingency plans were laid down ahead of the 23 June referendum. The Facebook announcement on jobs, comes as London tries to keep its place as a major European start-up location, under pressure from lower-cost alternatives such as Berlin and even Lisbon. The news comes one week after US tech giant Google confirmed it would expand its vast London campus in a move that could bring 3,000 more jobs. Last week, Google revealed it will add a new office building to a complex currently under development behind London’s King’s Cross train station. An estimated 3,000 jobs will be created by the move. A total of 7,000 Google staff will eventually be working at the hub, which is set to open in 2018. 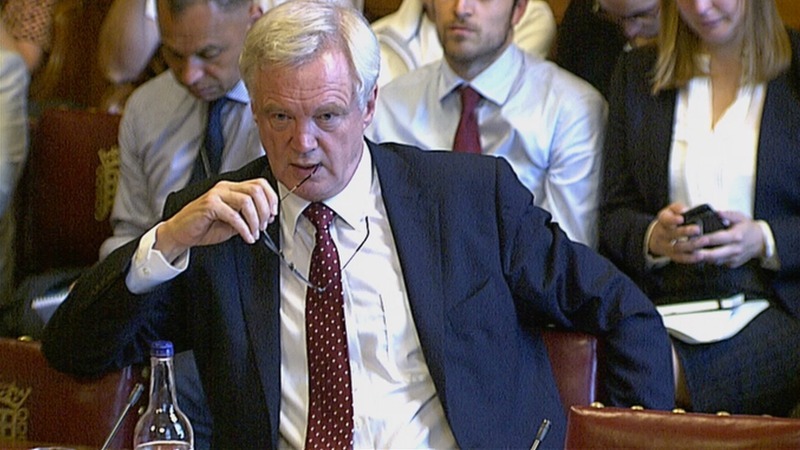 David Davis should just inform the EU that the UK, by a democratic referendum, is changing, over the next two years, its trading arrangements. The UK will leave the Single Market and open up to the rest of the world via free trade agreements. Oh, and by the way, here is our official notification of Article 50. There is no need for any further fruitless negotiations with Bannier and Verhofstadt. Adios. I doubt on that word Free but i respect your believe in .